Wild Aster - Scotts Florist - Sutherland Shire - Order Online 24/7. 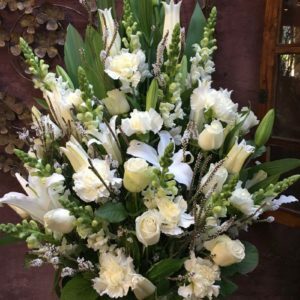 A box arrangement is an assortment of flowers arranged into wet floral foam, which provides both water and support to the cut flowers. As the flowers are already in their own water source the recipient will not need to find a vase making it a convenient option, especially for hospitals and nursing homes. All that is required is a top up of fresh water every day or two. 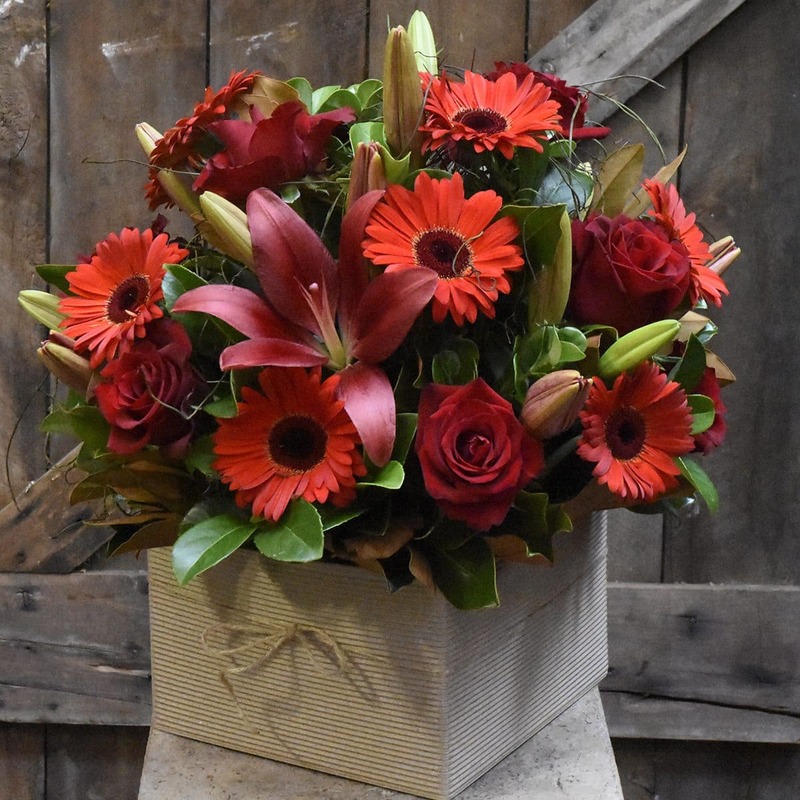 Flower deliveries made before 10:30am for same day delivery guaranteed inside the Sutherland Shire.